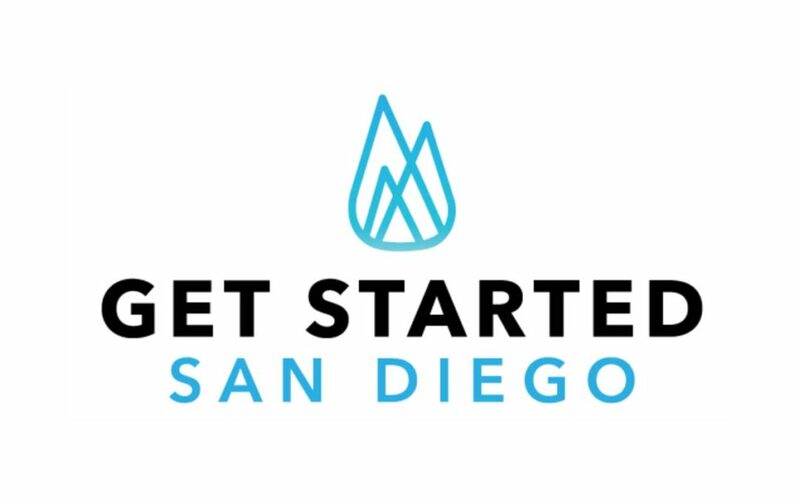 SAN DIEGO – Sept. 19, 2017 — Cox Business has announced six finalists for “Get Started San Diego” (#GetStartedSD), a business pitch and networking event where one winner will receive a prize package of $20,000 in cash and $5,000 in Cox Business technology solutions. More than 175 businesses applied to present their pitch. “Get Started San Diego” will be held at 6 p.m., Thursday, Sept. 28 at the Port Pavilion on the Broadway Pier, 1000 North Harbor Dr., San Diego, Ca. 92101. The business and start-up community is encouraged to attend this free event for networking and learning opportunities from leaders in investing, marketing, and business growth strategy,while enjoying food trucks and start-up craft beer. Pre-registration is required at www.getstartedsandiego.com. Coin Up: Coin Up is a mobile donation app that went live on the Apple App Store a year ago. The app allows donors to choose a cause they are passionate about, link their debit or credit card, and set a monthly donation goal. As they go about every day purchases, their transactions are rounded up to the next dollar and the “spare change” is donated to their charity monthly. GroGuru: GroGuru developed a wireless soil monitoring system. Wireless sensors transmit data from up to six feet below the surface, and sensors measure moisture, salinity, EC and soil temperature. Simple Forms: SimpleForms simplifies the completion, exchange, and storage of mandatory employment documents. The technology enables businesses to build employee, vendor, or client onboarding tools by streamlining the paper component of hiring or vendor management, thereby protecting businesses from costly audits and providing ROI (return on investment) on labor force. Upcycle and Company LLC: Upcycle and Company LLC makes a completely sustainable fertilizer from 100% recycled organic waste that is seven times more productive than organic and conventional fertilizers, and is locally sourced and manufactured, and sold within 150 miles. Its model replicates globally, and is currently sold via 10 retailers and three websites. Voyager Space Technologies: Once a communication satellite runs out of fuel, it is discarded into a graveyard orbit, costing hundreds of millions of dollars to replace. Voyager Space Technologies is producing a versatile modular spacecraft that would perform orbital station-keeping maneuvers to extend the lifetime of a satellite, saving customers an average of $100 million each year that the satellite lifetime is extended. Xycrobe Therapeutics: The Xycrobe (pronounced ˈzīˌkrōb) technology platform addresses the needs of patients with inflammatory skin disease by developing a library of “good” bacteria strains designed to deliver therapeutic payloads. The technology aims to change the way inflammatory skin disease is treated. Cox Communications is a broadband communications and entertainment company, providing advanced digital video, Internet, telephone and home security and automation services over its own nationwide IP network. The third-largest U.S. cable company, Cox serves approximately 6 million residences and businesses. Cox Business is a facilities-based provider of voice, video and data solutions for commercial customers, and Cox Media is a full-service provider of national and local cable spot and digital media advertising. Cox is known for its pioneering efforts in broadband, voice and commercial services, industry-leading customer care and its outstanding workplaces. For nine years, Cox has been recognized as the top operator for women by Women in Cable Telecommunications; Cox has ranked among DiversityInc’s Top 50 Companies for Diversity 12 times. More information about Cox Communications, a wholly owned subsidiary of Cox Enterprises, is available at www.cox.com and www.coxmedia.com.